The shortage of skilled labor continues to rear its ugly head. While indeed a significant obstacle affecting the majority of contractors there are traditional and creative solutions to mitigating this problem. 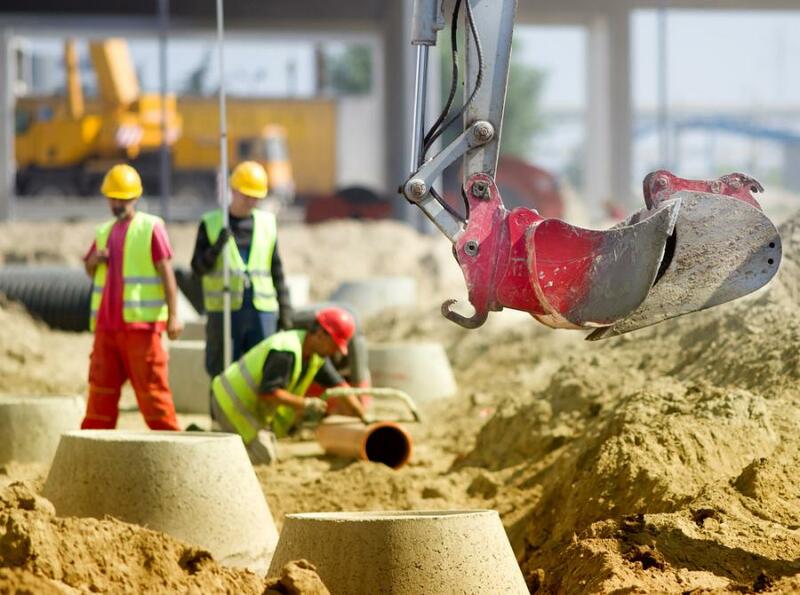 2018 has proven to be another healthy year for the construction industry as a whole. With multiple indicators pointing towards continued positive growth, it may seem as if there are few challenges ahead for the industry. There is, however, one elephant in the room. The shortage of skilled labor continues to rear its ugly head. While indeed a significant obstacle affecting the majority of contractors there are traditional and creative solutions to mitigating this problem. According to the Bureau of Labor Statistics (BLS), the latest unemployment rate for the sector (July 2018) was 3.4 percent. While such a low unemployment rate is usually an indicator of a healthy economy, in this case, there is room for concern. As the industry continues to grow more and more, contractors are finding difficulty in hiring skilled labor. The unemployment rate has continued to trend downward for almost a decade. According to the Federal Reserve Bank of St. Louis, an unemployment high for the industry of 27.1 percent in July 2010 has trended downward to a low of 3.4 percent in just eight years. One industry expert believes there are two primary causes of the shortage. Ken Simonson, Chief Economist at the Associated General Contractors of America (AGC), thinks the "double whammy of the recession and several decades of teachers, school counselors, and parents pushing towards college and away from career and technical vocations" are to blame. "During the recession, many construction professionals decided to retire or leave the industry," said Simonson. According to the United States Census Bureau, construction workers who entered long periods of nonemployment between 2006 and 2009 saw significant moves away from the industry. Almost one-third began to work in other sectors, notably trade/transportation. One-quarter had no observed subsequent employment by 2013. With the resurgence of Ability tracking/grouping in the 1950's, students in the United States witnessed a greater push toward college as opposed to the vocational trades. This encouragement, while no doubt well-intentioned, produced much unintended negative consequences. As noted by Forbes contributor Nicholas Wyman, the BLS statistics suggest some surprising and disturbing outcomes. Of the 68 percent of students who attend college almost 40 percent fail to complete four-year programs. For those who do complete four-year programs, 37 percent enter the workforce in positions that only require a high school education. Many of these students would likely find more significant benefits in vocational training than in the halls of higher learning. Combined, this "double whammy" has brought us to the current state of the industry. On August 29, 2018, the AGC released the results of their latest Workforce Survey (sponsored by Autodesk) about the labor shortage. The AGC has over 27,000 member companies, each given the opportunity to participate in the survey. According to Simonson, this is the sixth year in a row that member companies have been able to participate in the study. "This year was our most substantial response ever," said Simonson. "We had 40 percent greater participation this year. A sign of how important the issue is becoming." Simonson noted several highlights from the results. This year 2552 firms responded to the survey. Eighty percent of the firms reported having difficulty filling hourly craft positions. Eighty-five percent of all firms believed the pipeline for craft workers is either “poor or fair” at best. Forty-seven percent are placing a higher price on their bids, and 27 percent of firms are increasing the timelines for project completion as a result of the labor shortfall. With the problem identified, what can the industry do in response? The traditional answer in such a supply and demand problem would be to raise wages and attract more workers. In this case, however, that has not worked thus far. Craft labor wages are already higher than 10 percent above hourly wages in the private sector. Now is the time for more creative options. Some firms are using technology to fill the labor gaps. Onsite roles that typically required additional labor, such as project management, are now accomplished with the use of drones, for example. Technologies such as GPS, computer modeling, GIS, and robotics are all finding new applications in the industry and more contractors under a labor crunch willing to try them out. Now is also the time for contractors to take an active role in the community and change the perception of a career in the construction industry. The AGC is one example of an organization which has embraced a proactive stance in workforce development. AGC Chapters have created charter construction schools, sponsored construction career academies, and leveraged their support to the ACE Mentor Program. Efforts such as these are excellent places to begin strengthening the pipeline for craft labor in the future. The labor shortage in the construction industry is a real issue that demands attention immediately. Workforce surveys point to a growing problem affecting more and more firms. The best mitigation for the situation is a dedicated effort to strengthen the pipeline of new workers into the field. Technology will continue to alleviate some of the pain from the labor shortage, but to correct the problem contractors must look deeper into developing the next generation of workers. David Daly is an Award-Winning photographer and Certified (FAA) Commercial sUAS pilot (# 3991657). A graduate of the United States Naval Academy, David is a former Marine Corps officer with a BS in Oceanography and has earned his MBA from the University of Redlands. He is also a licensed Real Estate Salesperson (CA # 01898472) with a certificate in project management from the University of California, Irvine. David has worked for Fortune 100 companies with a background in aerospace, construction, military/defense, real estate, and technology. He is currently the CEO/Owner of Vigilante Drones and Vigilante Cares a non-profit helping veterans with PTSD.